…and our mobile flag beacon, which we’ll parade around (if the weather holds)! Marking the end of our residency, we’ll open the doors to the Field House for an open studio gathering, as well as the launch of Flagged for Review. Look for these bright and beautiful flags to be temporarily installed in and around the building. Bring a snack and join in on the conversation. 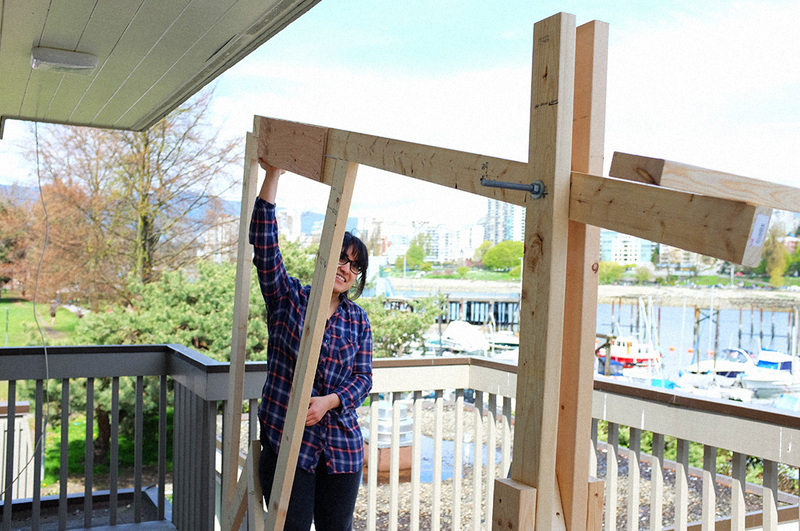 The Field House Studio Residency Program is generously supported by the Vancouver Park Board and the City of Vancouver. Since January, we’ve been in residence at the Burrard Marina Field House, and our work continues until the end of April. Our four month project, Flagged for Review is exploring the Contemporary Art Gallery‘s Field House Studio’s physical site and its relation to current perceptions of the city rooted in initiated conversations surrounding critical social and political issues in Vancouver. We’re also currently producing a series of flags to be installed at the Field House and throughout the city during the last two months of our residency. 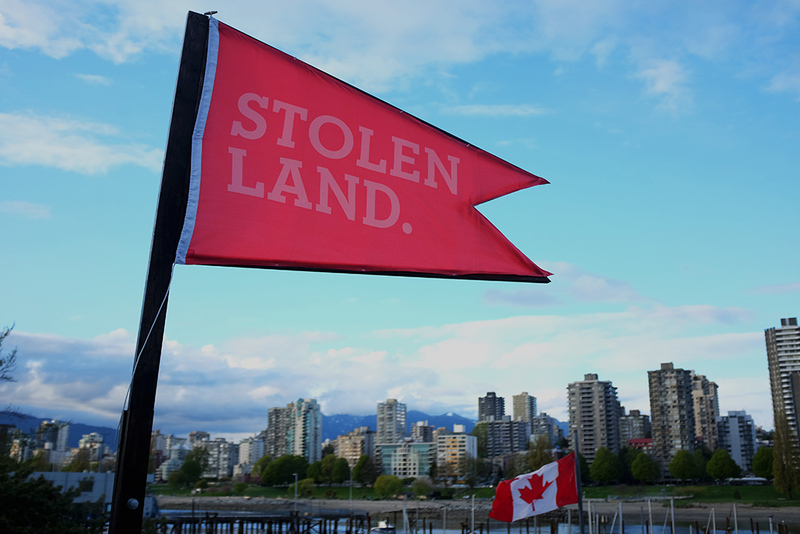 Beginning on Tuesday March 18th and continuing every Tuesday until the end of April , we’ll be hosting a series of public games, temporary installations, and conversations at the Burrard Marina Field House from 7 – 8:30pm. These public interactions aim to highlight a range of curious and challenging ideas that inform the ways we experience, imagine, and historicize the city of Vancouver. 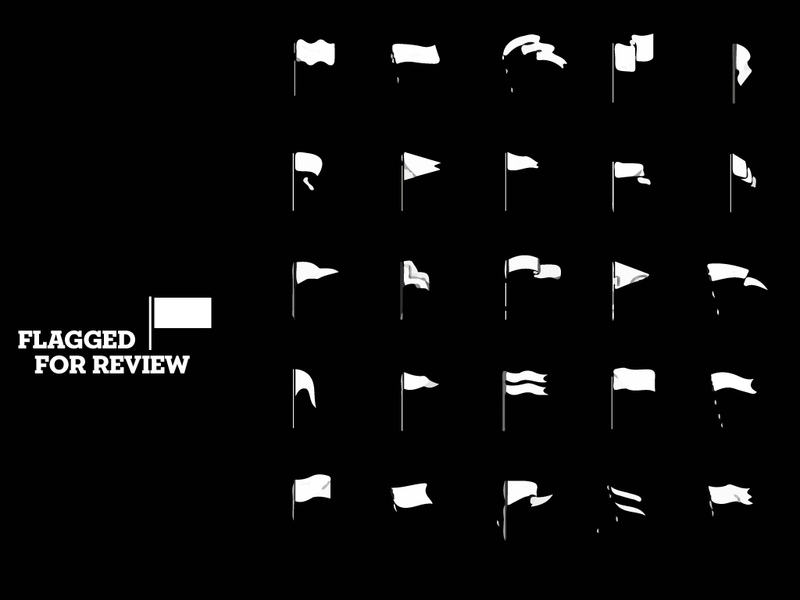 For the first two Tuesday events, we’re inviting YOU to contemplate and define our use of flags in the urban setting. Flag finding, making, and planting will be some of the potential activities we’ll take on over the next six weeks. We invite you to participate in a workshop that encourages the temporary creation of imaginary new outposts, enclaves and territories to better understand Vancouver, the values it holds/supports/ignores and the histories it chooses to hide/reveal. This event will take place outdoors (weather permitting). We’ll gather to imagine what the future holds for the city and then create a series of short declarations to project onto the Burrard Bridge that animate our hopes, doubts and dreams for the short and long-term horizons of Vancouver. Bring your questions, suspicions, and inspirations for art in public spaces to an open conversation on art as troublemaking and troublemaking as art. 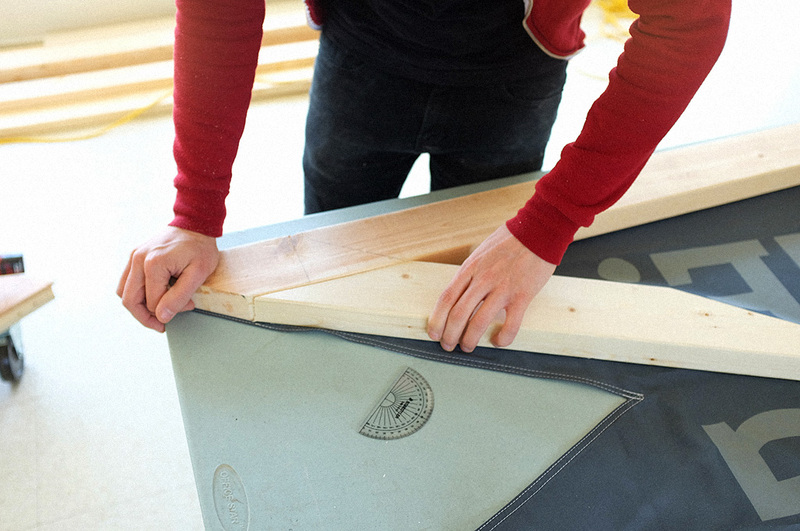 As part of Canadian Art Foundation Gallery Hop Vancouver, we’re making limited-edition flags that will be available at the Contemporary Art Gallery as well as participating Hop galleries. We’ll host a giant game of Capture the Flag in Vanier Park! Wrapping up the end of our residency, we’ll open our doors to the Field House for an open studio gathering as well as the launch of Flagged for Review. Works will be temporarily installed in and around the field house.